Classification is the foundation of a successful security strategy. It drastically improves effectiveness and accuracy of DLP and IRM. 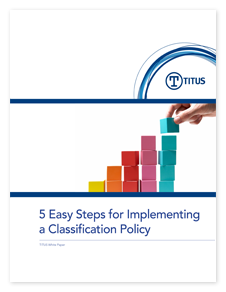 Discover 5 easy steps to implement a corporate information classification and handling policy. Follow these steps and establish a classification foundation that will dramatically reduce data loss and corporate risk.